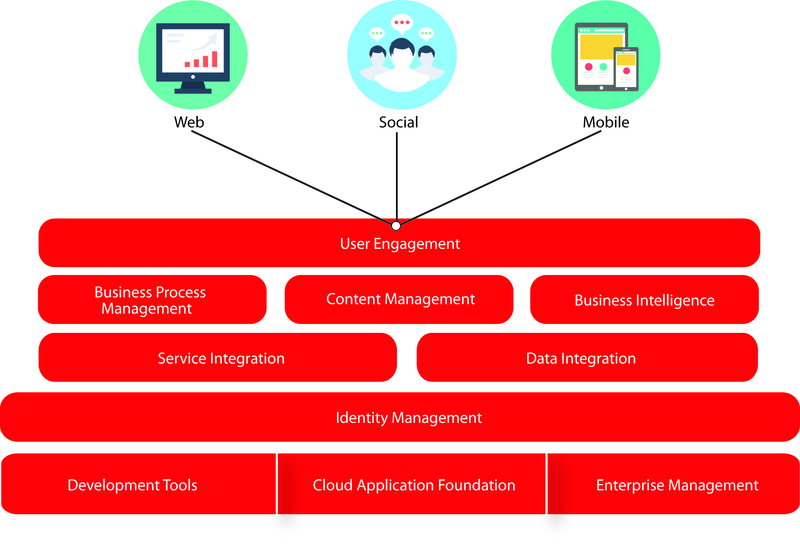 Oracle Fusion Middleware is a collection of standards-based software products that spans a range of tools and services from Java EE and developer tools to integration services, identity management, business intelligence, and collaboration. Oracle Fusion Middleware offers complete support for development, deployment, and management. Specifically, middleware is the software that connects software components or enterprise applications. Middleware is also the infrastructure which facilitates the creation of business applications, and provides core services like concurrency, transactions, threading, messaging, and the SCA framework for service-oriented architecture (SOA) applications.